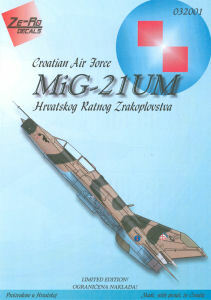 Ze-Ro Decals is a new player in the aftermarket scene from Croatia, so it is only fitting that their first offerings are of contemporary Croatian Air Force subjects that have been somewhat overlooked by other decal producers. 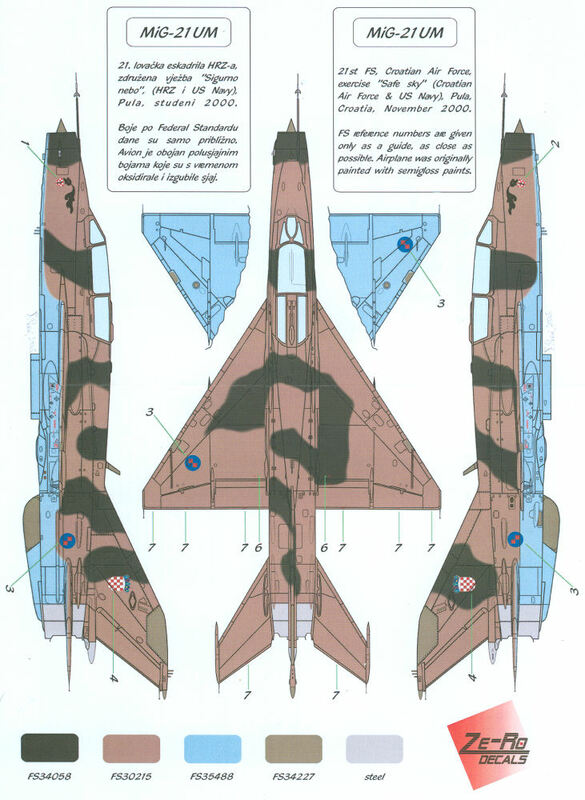 In this release, we have a nice decal set for a MiG-21UM Mongol B from the 21st Fighter Squadron, circa 2000, with Black Knight artwork on the nose and simple identity markings around the aircraft. 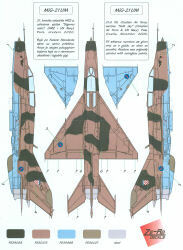 The set includes a set of maintenance stencils for the airframe as well. The instructions are printed in color to provide clear placement of the various distinctive markings. In addition to a nice three-view diagram to show the camouflage pattern, Ze-Ro provides FS 595 color equivalents to help the modeler with color matching. This set is designed to work with Trumpeter's beautiful 1/32 MiG-21UM kit and provides a nice alternative marking scheme for the kit. For more information about this set and the other releases from Ze-Ro Decals, contact Zeliko Pracic at zero-decals@net.hr. My sincere thanks to Ze-Ro Decals for this review sample!